In the mountain forests of southern India grows a spice plant that is well known in Europe, especially during the Christmas season. Cardamom is not only found in gingerbread and mulled wine, but is also in great demand around the world. What many do not know is that Cardamom is the third most expensive spice in the world (just after saffron and vanilla). The reed-like plant belongs to the ginger family and is native to southern India and Sri Lanka, where it grows at medium altitude in the humid mountain regions of the rainforests. It is 3-5 feet tall, has pale blue leaves with a yellow margin and whitish-yellow flowers. The precious and expensive spice is located inside small green fruit capsules. 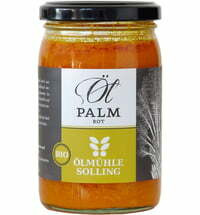 Responsible for the finely spicy to sweet and pungent taste is, in fact, the seeds. These seeds contain up to eight percent essential oils. The fruit capsules are harvested unripe, dried, and are then sold as a spice in different forms: the seeds themselves, ground or as whole fruit capsules. In Europe, cardamom is primarily used as an ingredient for fruit compote, gingerbread, mulled wine, liqueur, or for seasoning meats and fish. In oriental countries it is used more frequently. 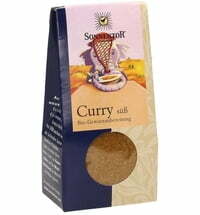 It seasons meat and rice dishes, herbal teas and many curry blends. In Arab countries, people like to use it to refine coffee. These countries are the main global consumer of this spice, making up 60% of world sales. In Ayurvedic medicine, cardamom has been appreciated for millennia as a medicinal plant. The seeds contain detoxifying enzymes that promote digestion. Therefore, cardamom is often used to fight bloating, stomach pain and cramps. Chewed, the seeds fight bad breath. Previously, an aphrodisiac effect was attributed to cardamom. The lemony fresh, aromatic smell says it all: cardamom is very intense. That's why it should be used sparingly. The capsules or the seeds reach their full flavor only through heat, so they can be cooked easily. Ground cardamom, however, should be added only at the end to cooking a meal. Cardamom harmonies well with fennel, aniseed, chili, ginger, cinnamon and cloves.